Packages are available for your bio-individual needs and health goals for you or your family. I can work with the hidden blockers stopping you achieve your goals and start your nutrition of without self sabotage. If it’s energy healing, plant based nutrition, support, belief work or energy healing we can find your path to health together. You have the power to change your life and I am just your guide. I have been where you are and my experience will help short cut your healing. I am available for motivation talks at schools and business and events on mindful eating and balancing your health and the power of healing your own body. And eating for energy at work. Take back your health, learn how to heal yourself holistically and be the best and healthiest you can be! FREE Workshop and Training – SIGN UP NOW! Follow the link to sign up for your FREE 48 hour pass – don’t miss out! I also offer an intensive 4-week coaching program to achieve your new healthier self and transition your family to a natural living lifestyle. We commence the program by diving in to a strategy planning session to start you on a plan that works for your individual needs. We will connect for three, 45minute Skype/Zoom sessions to keep you accountable and on track and so I can teach and support you with practical mindset and life tools. Also included is constant communication via text, messenger, email or WhatsApp so you have the guidance and support you need when you need it. A full Numerology Blueprint and other tools to support your journey. The investment for this program is only AUD$890.00 so let get’s started…your life will never be the same after! So please Book now! I also offer individual strategy and education sessions to plan and implement your own journey to health. For those who have the tools and knowledge but can’t seem to get started or need a mentoring session to get back in alignment. These can be provided for an investment of AUD$250.00 for a 1-hour Skype/Zoom session. Lets find the right time to start Book now! Book your free 30 minute Introductory Call to access your needs and to find out which plan is right for you. I look forward to being your guide as you find your healthiest, best self and fall in love with the journey of healing. 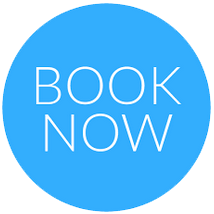 Chat soon when you Book now! To fully understand your Birth Blueprint I will coach your through how to implement your new found knowledge of self. For an exchange of AUD$222.00 for a 1-hour Skype/Zoom recorded session I will guide you through it all and help you finds ways to step into your full potential. Let’s dive in and Book now! Family Blueprints – Have you ever wanted a manual for you kids or mother in law? A way of working your partner out maybe? Well, a family Numerology Blueprint can unlock the mystery’s and show you how to work together and support each others needs. Find out how to connect deeper to your partner. Or understand your children and how to parent them with their individual needs. This information can be shared for an investment of AUD$444 for a Blueprint for 4 people over a 2-hour Skype/Zoom session to coach you on how to implement the new knowledge about your family. This will change your life so Book now! Please email me your full birth name including middle names and date of birth for each person to Hannah@nourishtohealth.com.au. Wellbeing, founded by Dr. Maxine Thérèse to energetically interpret the child’s needs when they experience any imbalance [physical/emotional/mental]. And address the parents needs and the dynamic between them as a family. Childosophy is a complete philosophy of the child as a soul and an integrated approach to children’s wellbeing – with applications for parents, teachers and practitioners of children. Centering on the Foundational Needs Model as researched by Dr. Maxine Thérèse. Session are in person or via Skype for AUD$100 exchange. If you would like to find out more about my programs, and how I can help you, please contact me, anytime. Which ever way I get to support you I believe that all the people I work with are meant to be there and we learn from each other in this exchange. I am blessed to do what I do and I love my work. Thank you.